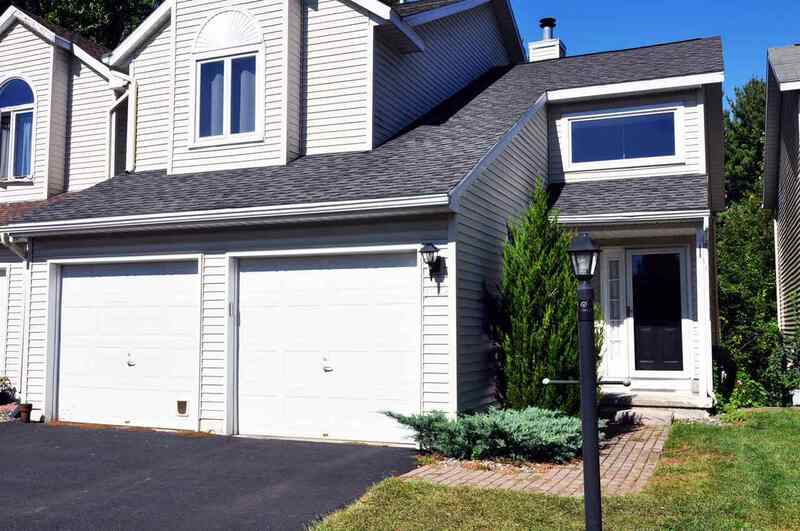 Beautiful stand alone townhome located centrally in the Grandview Estates neighborhood. Stunning backyard with views into the forest! Completely finished walk out basement with slider to the second deck outdoors. Huge living room with stunning vaulted ceilings on the main floor with wood burning fireplace. Anderson replacement windows, and a two year old furnace... wow! Truly low maintenance living. NO HOA FEES HERE! Excludes washer and dryer, iron curtain rods.